"Child Care Characteristics and Quality in Nebraska" by Carolyn P. Edwards, Lisa Knoche et al. For the Midwest Child Care Research Consortium, June 13, 2002. 1. In Nebraska, as is true across the Midwestern states, a majority of providers regard child care as their profession, have been providing child care for over five years and intend to stay in the field. This is despite low, fulltime earnings (averaging $14,700 a year in Nebraska), which, for many providers, is below poverty level. 2. Using well-respected measures of quality, the researchers found that child care quality in Nebraska is comparable to that of Midwestern neighbors Missouri and Kansas and to child care nationwide; 34% of care observed was “good” quality; 48% was rated as minimal or mediocre quality and 18% was rated poor quality. Center-based infant/toddler, center-based preschool and licensed family child care were comparable to one another in quality and to similar care of Midwestern neighbors, while license exempt (approved) care averaged lower quality than other types of care in Nebraska. Other studies have shown that good quality on the measure used in the Midwest study predicts positive school readiness outcomes for children, and poor quality predicts poorer outcomes for children, especially for children in poverty. 3. A number of training, education, accreditation and workplace efforts were associated with higher quality including: Heads Up! Reading (in Nebraska preschool center-based settings); employee benefits such as health care (in center-based settings); the Child Development Associate Credential; participating in the USDA Food Program; first aid training; higher levels of education; entering into partnership with a Head Start or Early Head Start program; completing a nationally recognized accreditation in early childhood education; following a curriculum; and completing more than 24 hours of training in the previous year. Nebraska led the Midwest in the percentage of providers who had completed CPR and first aid training. 4. The study identified ways that Nebraska can improve child care quality. Two of these are to improve pre-literacy environments and to provide incentives to improve quality to providers who serve children receiving child care subsidies. First, Nebraska child care was deficient in preliteracy environments. Following the current national emphasis on preliteracy skills (reading to children, helping them understand and appreciate print media, and encouraging expression), pre-literacy environments are likely to be emphasized in upcoming child care block grant and Head Start reauthorizations in 2003. Few infant/toddler providers were observed reading to children; many family home providers lacked materials to encourage verbal expression. While preschool center-based providers had more books available, many scored only at a minimal level in pre-literacy activities. Second, among providers caring for children receiving subsidies, in some sectors the quality was lower when providers cared for larger portions of children receiving child care subsidies. Incentives for quality among family providers caring for children receiving subsidies are recommended to ensure that low-income children receive quality care. Nebraska and its neighbors in the Region VII of U.S. DHHS are among the first states in the nation to assess child care quality on a statewide and region wide basis. 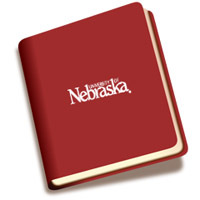 These baseline data will permit examination of changes over time in quality; for example, as a result of the new Nebraska TEACH program and other new and continuing initiatives.